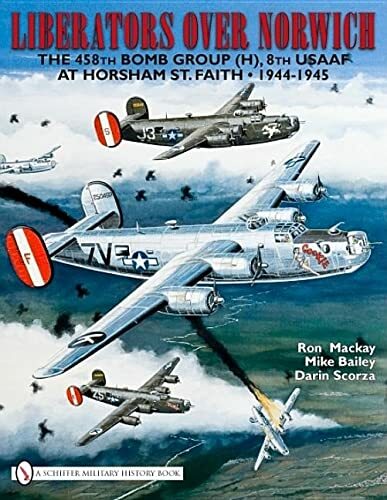 Synopsis: The 458th Bomb Group (H) entered combat with the 8th Air Force early in 1944. Based at Horsham St. Faith in England, the combat crews participated in the decisive Campaigns 'Big Week', 'Big B', D-Day and the assault on Germany s oil industry waged by the USAAF up to VE-Day. The group also tested the operational use of 'Azon' radio-controlled bombs. The 458th flew a total of 240 missions, during which over 13,000 tons of ordnance was dropped, and was achieved at the cost of sixty-five crews MIA or involved in operational accidents. This is their complete history. About the Author&colon; Ron Mackays interest in military aviation began during WWII. The local Coastal Command airfield at his birthplace of Wick, in northern Scotland, provided a wealth of British and American designs with which to stimulate his interest; postwar National Service with the RAF sustained that interest. A working knowledge of German has further extended his field of study into the Luftwaffe. To date, he has produced 25 books covering the aforementioned Allied and Axis Air Forces that include several co-authored projects; a further number are in the process of completion.